Leave a comment below and be entered into a drawing to win this soul nourishing gift today! 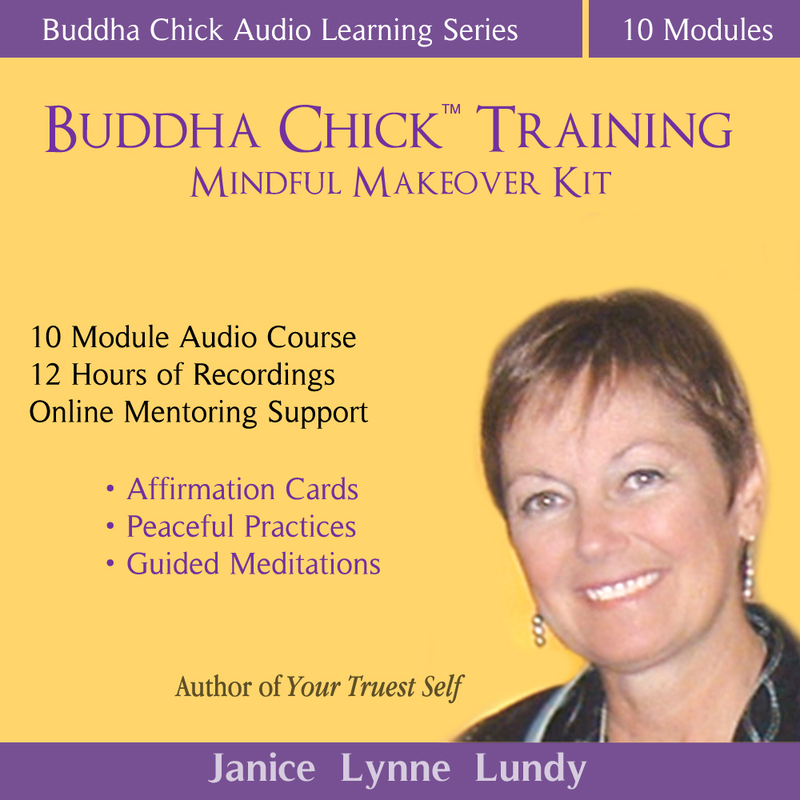 This Kit currently sells for $97 and contains 12 hours of audio teachings, Workbook, and Buddha Chick Affirmation Cards for living a Buddha Chick life with mindfulness, loving-kindness and compassion. The winner of Makeover Kit will also receive a free 40-minute phone mentoring session with Jan, and have access to the course's private online Discussion Forum to get ongoing support for her personal makeover. I do think this will appeal to many of you dear readers, but first, I'd love for you to get to know Jan a little better. She will talk about the kit a little in this interview amongst other things I was curious about and thought you might be too if you haven't had a chance get to know Jan through her writing, blog or online courses before. (Admittedly, I did have a pretty good idea what some of her responses would be, but there were some delightful surprises too.) Please join me in welcoming our special guest Janice Lynne Lundy! Laura: Can you please name some of your teachers who inspired you with their wisdom and encouragement over the years to be in this place you find yourself in right now in your life? Jan: Hi, Laura and all of her lovely fans! I am very glad to be here with you today. I love it when women come together in soulful ways to share their inner journeys, don't you? One of the first was Wayne Dyer. I met Wayne in the early '90s (before he got super-famous) because he is from Michigan (as am I) and he paid regular visits to our Michigan Speaker's Association meetings. He encouraged me to write my first book, "How Does Your Garden Grow: Lessons in Self-Nurturing for Women." It was actually a journal and audiotape. He gave a copy to one of his daughters. I felt quite honored. He was my first big encourager. Then Sue Patton Thoele whooshed into my life. Her book, The Courage to Be Myself, blew me out of the water. It invited me to radical self-acceptance and how to live more gently with myself. As a recovering SuperWoman and perfectionist, her work (and presence) led me into self-love and kindness like I'd never known before. We have become good friends and I consider her my dearest mentor for life. Today, a beloved mentor is Sylvia Boorstein, a Buddhist teacher and practicing Jew. She is my spiritual director and teacher. Through Sylvia, I've fully embraced mindful living and compassion practices. They have radically transformed my life, especially the practice of "Metta," loving-kindness practice. With her blessing (and under her guidance), I now "teach" Metta in a formal way to those who wish to learn and benefit from this heart-opening practice. There are so many others, Laura, but I must move on or I will never get to the rest of your questions! Laura: B.B.C., (before Buddha Chick) what work were you doing in the world? Before Buddha Chick™, I was an educator (teacher of "World Religions") and a workshop facilitator. In 1996, that shifted and my heart leaned into writing for and about women after having a major health crisis. I have now authored 6 personal/spiritual growth books for women with healing and transformation in mind (the newest is Your Truest Self, Sorin Books, 2008). I also pen a nationally syndicated magazine column (Women's LifeStyle, since 1998). I've been leading women's retreats for nearly 20 years now. And I am a certified Spiritual Director with an interfaith focus in private practice and through Dominican Center in Grand Rapids, MI. I am also on staff there as a mentor to spiritual directors in training. Everything I have ever done is rooted in supporting women on their spiritual growth journeys. It is my passion and, I believe, my purpose. I love it! Oh, and I was, and am, a mom to 3 incredible kids! Laura: Where did “Buddha Chick” arise from, and what does the name signify for you? Jan: To me a Buddha Chick™ is an interspiritual gal with a smile on her face and peace in her heart. She is deeply connected to her essence, understands she is a sacred being, and lives mindfully, with deep compassion for herself and others. The name, Buddha Chick™, popped into my awareness one day when I was feeling especially ill-at-ease with my life. I was looking at images of the Buddha who always seemed to carry a slight smile on his lips. These images never failed to exude a feeling of deep peace and I really wanted to feel more of that myself. One day I remember saying to my husband in a particularly exasperating moment, "I just want to be a Buddha Chick!" and the die was cast. It seems that by offering that intention aloud, I was put on path of uncovering my Buddha Chick self—and living with real inner peace. I was so tired of feeling frazzled and stressed! "Buddha Chick™" has become my way of relating to myself, others, and the world. Buddha Chick lives in every woman. Each of us has her in our essence—a naturally calm, clear, wise woman. We simply have to access her. After many years of searching, experimenting, and practicing, I have finally developed a program for how any woman can access her, too—no matter what is happening in our lives. Laura: Although Buddha Chick is grounded in Buddhist practices, it is offered to women of any spiritual background. Can you say more about the interspiritual nature of this work? Must one self identify as a Buddhist to be a Buddha Chick? Jan: I know you have benefitted yourself from the Buddha Chick heart and mindset, Laura, and it blends quite well with your Jewish roots. Sylvia too. Me too. I like to say that I have Christian roots (I was raised Lutheran), but have Buddhist wings. I do not call myself a Buddhist because I do not ascribe to the Buddhist religious practices. So, in answer to your question, does someone have to be Buddhist? No. In fact, the opposite seems to be true. The women who come to Buddha Chick™ are open, however, and eager to learn from the world's "wisdom traditions," hoping to connect with the sacred truths that run through all. Buddha Chick™ Training (now in the form of "The Mindful Makeover Kit") works with many of the mind and heart "trainings" that are sourced in Buddhist teachings: specifically, mindfulness, compassion and loving-kindness. But, in its core, the Course is contemplative and pulls upon practices from many of the world's contemplative traditions. It is a unique blending of what I have found WORKS to breakthrough our barriers to living free with true peace in our hearts. It is interspiritual, non-religious, and works very well with all theologies because it gets to the heart of the matter: how we can be more present, openhearted, and kind to ourselves and others—for our personal transformation and for the healing of the planet. Laura: In your experience, interviewing women, facilitating women’s retreats and mentoring one on one as a Spiritual Director, what are some of the common themes you see many women struggling through day to day? Jan: You know, Laura, I started speaking and teaching in the 90's about self-care and women. My book, Coming Home to Ourselves, was all about that because it is what I struggled with the most. Here it is 15 years later and we are STILL struggling with this. We are too busy, feel overwhelmed and stressed with life, and we do not put ourselves and our well-being on the top of our ever-present "To-Do List." Many of us live like "Zombie Chicks": the walking dead, exhausted, just going through the motions, trying to get life handled; putting off our personal peace and happiness until ….. The truth of the matter is, life will never show up how we want it unless we put into practice the values we talk about—and we do it for ourselves first. We stop pushing ourselves so hard, we start being kinder toward ourselves. We accept ourselves as we are, yet vow to let go of everything that keeps us stuck in old disempowered patterns. For me, a woman's journey comes down to two words—self-compassion. Without "lived" self-compassion, a woman will go around and around on the hamster wheel of life forever. Her peace and joy will always elude her. Laura: What are some of the tools you offer through Buddha Chick to help women discover their “Truest Selves,” find more moments of equanimity, joy and acceptance within their sacred-ordinary lives? Jan: In the training ("Mindful Makeover Kit"), we begin with creating a new relationship with our breath so it is a sacred touchpoint we can always come back to whenever life feels rocky. We build on that with various "Pockets of Peace," 5-10 minute practices that immediately drop us back into our "true self." Through mindfulness techniques, we learn to distinguish between thoughts that come from the ego (they always take us back to fear, worry, stress) and those that are sourced in our essence (they take is into peace, love, joy). We create new thoughts. We learn to do the same with our emotions, and root out those that keep us from living our kindness and wisdom. And all the way through this process, we bombard ourselves with loving-kindness. Self-compassion practices (like Metta) are what wipe the slate clean and give us a brand new start on life. A Mindful Makeover! At BuddhaChick.Org, we provide tele-classes, online retreats and courses that support this process. Everything we do there provides women with tools to live more mindfully (rather than on auto-pilot and mind-lessly! ), with deep care and kindness by cultivating self-compassion. Laura: I have written here on my blog about Dharma Sister’s Circle and about the original Buddha Chick Flight School course I took with you when you first launched it. Can you tell us how your newest Buddha Chick offering is different from the original? Mentoring is really the key to success with this program, as you know, Laura, which is relatively unheard of in online or audio courses. Personal assistance is what will help a woman uncover her Buddha Chick self and blast through ego-barriers to living as her. We just can't do this process alone. The ego is too powerful and it will sabotage us. So "The Makeover Kit" provides a private Discussion Forum where a woman can connect with me, ask questions, get help, and also connect with other women who are taking the Course. It's a very cool set-up! I know without personal mentoring I would NOT be where I am today on my life journey. I know you have had this same experience with mentors, Laura. Mentors are invaluable and a blessing. Every woman should have a mentor! When you are new on this path of mindful, compassionate living it is easy to fall victim to "spiritual amnesia," so Dharma Sisters Circle, an online community, was really created to help women stay on this path so they don't fall back into old patterns that continue to create pain and suffering. It's a great support system, as you know, Laura! We learn, practice, and continue to grow together on a month-to-month basis. Laura: What does a typical day look like for you in regard to balancing family, work, self-care and soul-care? I am very blessed to work at home with my husband, who is my beloved and my creative partner. He has 4 children and I have 3 (ages 21-40), and 5 grandchildren, so weekends are often spent with family. My phone is always close by because it always seems somebody is needing something, but I have learned to put healthy boundaries around that. I know that I cannot be fully present and loving to my very large family without being fully present and loving toward myself. Laura: What nourishes you and brings you joy? Jan: I'll say it simply with a few words, because I could give you a very long list here. If I can access this kind of Love on a minute-by-minute basis, life is grand! Laura: Thank you so much Jan for being an inspiration to me and so many other women over the years. I feel deeply blessed to call you friend and mentor, to work with you and all of the beautiful women at DSC. I am honored that you asked me several months ago to develop invitations, podcasts and also moderate Khanti: A Healing Circle each week, with wise council from both you and our friend Toni Bernhard. This work brings my soul great joy! Visit BuddhaChick.org to learn more about "The Mindful Makeover Kit" and Buddha Chick™ courses, upcoming tele-classes, and retreats. Sign up for Jan's newsletter, to receive thank you gifts and news of her forthcoming FREE e-book, "The Buddha Chick Guide to Life." Thank you for this illuminating interview. Not only were her answers powerful, I found your questions to be illuminative in and of themselves. They reflect areas of core concern for many. Good morning, Laura and all of her beautiful friends. Thank you so much, my anamcara, for hosting me here. It is a joy to be with you today. I welcome everyone's thoughts and questions. May we believe, breathe, and be well—together! Wonderful post Laura! The interview was exceptionally interesting. I have found the works of Thich Nhat Hanh to be exceptionally relevant (as I am reading them alongside Thomas Merton....an interesting duo) and do believe that studying different religious philosophy can greatly help to make sense of the world and bring us back to our inner core and peace. I guess last week was my *ah-ha* moment, of feeling divine guidance and taking a leap of faith....and I am totally at peace with it! 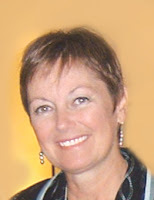 Judy thank you for you kind words to me about my interview questions...I tried to be universal in creating them, imagining I did not know Jan, and wondering what I would want to know about her before taking a class. Jan you are so welcome dear one. I am so happy you are here with us today! I will mostly be offline today, as I have been for the past couple of weeks. I know you will respond beautifully to the readers here at shine the divine and they will appreciate your presence as much as I do. She sounds like a very special woman, er 'chick'. :) i love the interfaith aspect of her life and teachings. :) one world; one heart; one soul. Thank you dear Laura and Jan, for this delightful beginning to my day. I already feel so very blessed to have met and connected with you both online over the past year or so. But Jan, when you said "I have Christian roots (I was raised Lutheran), but have Buddhist wings," I realized that is a perfect description of me, as well. I just don't know how to use those wings to fly - yet. I've also recently discovered that I have very deep Ashkenazi roots, so I am reveling in and embracing that realization, as well. I still have so much to learn, and you have both taught me so much already. Thank you both for so generously sharing your wisdom and gentle guidance. Hi Judy, lovely to meet you. There are so many concerns, aren't there? For me, one of them is how to be more compassionate toward ourselves. As women, we continue to negate our own needs, especially in terms of self-care; miss the boat being tender toward ourselves because we have such high expectations of ourselves and push ourselves far too hard. To begin to embrace radical tenderness for ourselves is key. For me, it's the Buddha Chick way! Anne, how nice to read you are in touch with Thich Nhat Hanh's peaceful energy. I love that you paired him with Merton. I think Merton would have loved TNH. I wonder if he ever met him? The timing would have been right. He did meet with the Dalai Lama, you know....Blessings of continued peace to you! Jan, there is much I didn't know about you! I'd be interested in learning about some of the retreats offered over the next year in Michigan. Dharma Sisters keeps me alive inside.....such a blessing! I unintentionally skipped my usual lovingkindness meditation yesterday because I was so busy, and so I meditated as I was falling asleep, such a nice way to fall! I check DSisters every day to see what words of wisdom might inspire me, and to support my Sisters. Enjoying this journey, Jan! And thank you Laura for a chance to view your lovely blog! Dear Texwisgirl, nice to meet 'ya! I love what you say and this is my experience too - one heart, one world. I also like what Matthew Fox says about this: "One river, many wells," when it comes to our spiritual paths. Thanks for visiting! Hello! Glad you like "Pockets of Peace." That is also the title of my next book, so stay tuned! Pockets suit me just fine, you too? p.s. Love those Native roots. I think many of us have those...Good to honor them. Two soulfull women having a lovely chat. Thanks, Laura, for the invitation to listen in. Thanks, Jan, for sharing your heart. What a fantastically interesting and resonant interview this is, Laura. The mentors mentioned are among my favorites. What a richly affirming thing to read this rainy morning. Thanks for bringing this highly evolved woman to us. Great interview. I want to be a Buddha Chick! Love the "pockets of peace." We could all use a few of those pockets. Linda, so sweet that you are here in support too. Love to you! Ms. Sherry - "Blue Sky", I love that. It speaks of spaciousness. Do you have a wide-open heart? I bet you do! Thank you for stopping by. Ms. Anonymous, do you know you already are a Buddha Chick? We all are. We begin the journey when we affirm that our true nature is peace or love or joy—what I call the "virtues of the spirit." We are that. St. Francis of Assisi may have said it best: "You are that which you are seeking." Enjoy the journey "in." What a joy and delight to lean into your conversation, feeling so at h'OM'e and welcomed by your generous spirits. I'm a word smith too so I adore the way you play with language Janice. I too care Metta with me everywhere I go, and love the way that you've packaged your gifts as 'Pockets of Peace'...simply yummy. Thank you both so much for such nourishment. Ms. Anonymous, did you know you are already a Buddha Chick? Just a matter of dropping down into her peaceful essence. She always awaits our return....Blessings to you! What a marvelous interview! Janice has sure had some amazing mentors. She ia such a special lady. Your words warm my heart. I know that I have spiritual amnesia (great term! ), and can become a zombie chick from time to time. But your gentle encouragement to soften and open the heart makes it possible to remember that our true essence is one of calm, peace and love. HI Donna, playing with language is fun, isn't it? And keep your eyes open, "Pocket of Peace" is the title of me next book. Just sending it off to publisher now. We can breathe easy in those self-created "Pockets." Joy to you..
HI Michelle, well we all get spiritual amnesia now and then. But we sure can lessen the episodes by deepening our spiritual practices. Ego be gone! Hello Bonnie (haloadora), I hope you will be sure to create many Pockets of Peace for yourself before the big day. Choose your peace, yes? Make time for ease. Good luck with your shoulder and the wedding! I am deeply enjoying reading everyone's comments and Jan's replies as well. I want to emphasize that one of the special features at Dharma Sister's Circle is our Khanti Healing Circle...several of our sisters have dropped by to say hello today...I can tell you that we Buddha Chicks are a very kind and loving circle of friends. Please if this interview has piqued your interest even a tiny bit, do drop by and visit Buddha Chick or Dharma Sister Circle (first month at DSC is free!) then 6.99 a month to continue. Those of us in the Khanti circle live with chronic illnesses and the support we offer one another is unparalleled in any healing space I've encountered online for people living with the challenges of chronic health conditions. I can't wait to see who wins the Mindful Make-Over Kit (we'll announce this on Thursday)...having gone through Jan's original Buddha Chick course, I KNOW you will love this offering. Thank you to everyone who has stopped by and to Jan for moderating comments! Hi Laura, hey thanks for these kind comments on Dharma Sisters. It is a very cool place! I wanted to thank your beautiful readers in a special way for their kindness today. They can have a free Buddha Chick retreat! It's all packaged up and ready to go. I think you did this retreat, Laura, yes? Here is the link to get their "Embracing My Essence" guided retreat. Thank you so much for this interview. It explains so much to me as a newly hatched Buddha Chick. So many of the influences that led to Buddha Chick are authors and books I've read, but now it feels like things are coming together and at a much needed time for me. Wishing you metta and dark chocolate. Hi all! And thanks for the peaceful,inspirational words! I love reading and "listening" to it all!!!!! Blessing to everyone!! I hope this makes it to post! I tried before and I don't see me! Anyway, I enjoy all the comments and can't wait to see the next stop! Ms. Soaring Sun, I love that you describe yourself as a newly hatched Chick! Very clever and tender. Blessings on your exciting new life journey! I've been working with Jan on "Your Truest Self" for the past couple of months. Every lesson has challenged me to go deeper inside myself, discover good and bad things, and reflect on them. Jan is a gentle and wise guide who knows how to encourage and how to nudge at the right times. I'm very happy that I found her.